Free Swing Dancing in Boston on November 18, 2014! If you love to Swing Dance (or wanted to try it!) head to South Station on Tuesday, November 18, 2014 for a free swing class! 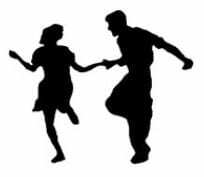 The beginner swing class starts at 8pm on Tuesday and a dance with live music kicks off at 9pm. Admission is free! For more information, please head here! Will you be attending?